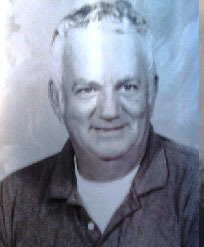 He established the Ware County High School .22 rifle team in 1992 and coached them to state championships in 1994, 1995, 1996 and 1997. In 1997 the team won the Veterans of Foreign Wars – National Rife Assocaition national championship in Junior Smallbore .22 Rife Competition. They were in competition with 199 other teams throughout the United States and beat them all to win the national title. In 1997 Ware took three Junior ROTC Military Scholastic National Championships and became the second team in Ware County High School history to capture a Georgia High School Association state title in air precision. In 1998, Ware toke the state crown in the National Rifle Association Military Scholastic in .22 rifle and air rifle and the USA Military Scholastic in both of these categories. The team set a school record in 1998 with a score of 1,151 of a possible 1200. Maurice did an outstanding job with the program and his guiding influence and a group of talented sharp-shooter makes hefty goals for future sharp-shooters.